2 Cor 9:14 tells us, “Thanks be unto God for his unspeakable gift”. The gospel is DECLARED in 1 Cor 15:3-4. …and we know His resurrection was witnessed by all the disciples, by the 500, and last of all, by Paul. We are saved by believing upon HIM. This means that we have placed our faith in Who He is (God the Messiah) and what He has done and nothingof ourselves. Again, there is no work we can do or promise to do, in order to be saved – that is not just before, but promise of works during or after. We must believe upon Him as our Savior alone. He paid the price on the cross, He took the curse for us and REDEEMED us. HATH redeemed us… It means it is finished, already done, past tense! We possess; own; to have, to hold — eternal life. I started this note about a few years ago because of all the unclear language I was seeing in people’s ‘gospel’ presentations. I hope this helps you all in sharing the good news, remembering that it is His love that compels us to serve Him, and also love for others, in being involved in the great commission, to preach the gospel to everyone. I hope that this will keep us aware enough, that we might care for the lost, so we can pray for them (1 Tim 2:1-6). Contemplate those we know who may face spending an eternal destiny in hell. That is reason enough for us to pray also for opportunities and boldness to share. But before I go into my note, I ran across a link a couple weeks ago that is from Duluth Bible that I’d like to use first. I could have incorporated it into my note, but I’d rather keep his intact as he wrote it, so please forgive any redundancy if I repeat something he said in my own note. Duluth Bible; Wrong responses to the gospel (link broken). Whether it be me or anyone else you know, any person that someone quotes or uses in anything they share, should always be proven (1 Thess 5:21). Always check out all teachers, authors, or anyone, prove what they say with the Word. They should be happy to be questioned and think you are noble to do so (Acts 17:11). We might not always have the answer, but we can sure try to find out. So, what phrases have we possibly incorporated into our gospel presentations that are not found in His Word? Have we added something to the gospel unknowingly? DISCLAIMER: Before you get upset and come out to challenge me, I challenge you first to find the language you are going to defend in His Word. In the presentations of the apostles/disciples. PLEASE, check the Scriptures first, and then read this in prayer please. Some may simply be that we thought we were just paraphrasing portions of God’s Word. But if so, we should all be willing to examine these things and carefully search the Scriptures to see if these things are so (Acts 17:11). Remember, it is the enemy’s intent to corrupt minds from the simplicity that is in Christ. Keep in mind when Paul wrote this in 2 Cor 11:3-4, he was concerned that those who were already believerswere going to be deceived and put up with those who were. Believers can be deceived concerning the truth of the gospel. We cannot be wise in our own eyes or permit tradition to keep us from considering things we might have allowed in our own presentation that may not be correct. We should contemplate whether we may have unwittingly tainted the gospel with our own wisdom of words. Knowing the gospel’s power, we want to be so careful not to do that. We need people’s faith to stand in the power of God (which is seen in His gospel – Rom 1:16-17), not any wisdom of men. Don’t we want a clear gospel if this the only way to be saved? In 1 Cor 9, Paul says, ‘woe to me if I do not preach the gospel’… sure something to keep in mind. We need to emphasize Christ and HIM crucified for our sin…It was HIScross where all our sins were forgiven (Col 2:13-15). Seeing that it is the gospel that is the power of God unto salvation, shouldn’t we be ever so careful to keep it clear? Here are some examples of things we need to re-think. While praying (talking to God) is someth ing we should do, we should be careful where the gospel is concerned, about them possibly placing faith in a certain formula of prayer (“say these words and you will be saved”). We need to emphasizethe only thing necessary is belief (putting their faith upon Christ and Him crucified for their sin – all of it, past, present and future) for their sins. When one says they have believed, usually I will try to be sure they have believed the correct gospel by asking them a few questions. 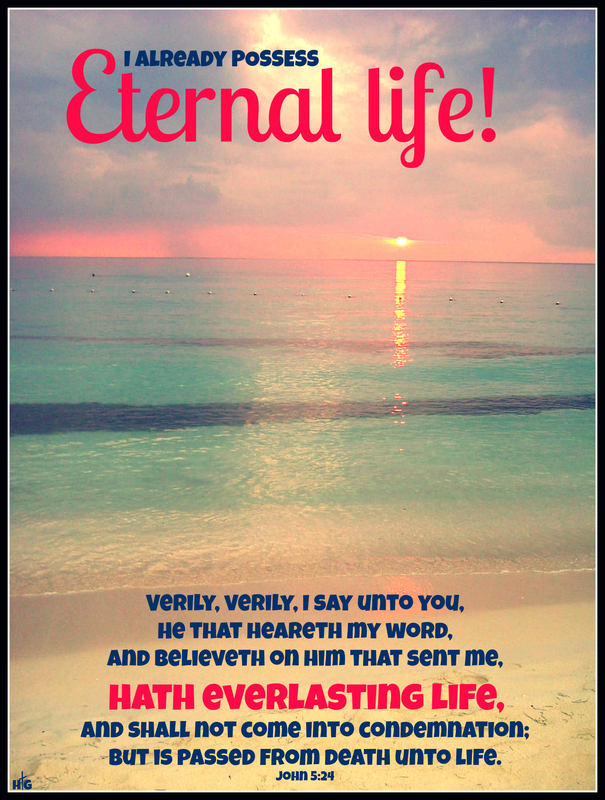 Then I will tell them that since they have believed, the Word says they can knowthey possess eternal life already (1 John 5:9-13, John 20:31 etc.). Then I suggest that now is the time to start learning to talk to God, maybe ask them to pray with me, and I’ll start by thanking God for the free gift of eternal life, which can never be lost, and and encourage them to talk to Him also, asking Him to show them how to grow in His grace. Let them know that comes from being in His Word in prayer. These things are not necessarily wrong if the correct gospel is presented, but we ‘might’ create confusion if not made clear that these things are not necessary for salvation. Better to look at the pattern of the apostles. Do we see altar calls or invitations to come to the front when the apostles preach to the crowds? For example, raising your hand may be fine to acknowledge silently (if you wish) that you have believed upon Jesus Christ, but it may cause doubt for the one who did not raise their hand. They may wonder, “was that a part of what I should have done so am I really saved because I didn’t raise my hand?” Explaining that raising their hand is simply so that you can pray for them, or walking down to receive prayer is just that — for prayer. Just strive to be clear. We do receive Him when we believe (Jn 1:12, Rom 8:9, Col 2:6). He does come to dwell in our hearts. He does become our Savior, when we believe, we receive Him. It is one-on-one. But asking Him into our heart, or ‘accepting Him as our personal Savior’ is not a condition of the gospel, so should we add it and confuse them with this tradition-acquired language? We need to use GREAT PLAINNESS of speech when we present His Word because we have such a glorious hope remaining with us. Too many of us use language we may understand, but what about those who do not know what it means? I was raised on the phrase “Ask Jesus into your heart”, and yet I was never saved. Every Sunday morning in the church that I was raised we sang a song called “Come Into My Heart, Lord Jesus.” The words were as follows: “Into my heart, into my heart; Come into my heart, Lord Jesus.” We sang this song every Sunday morning and were given the opportunity to “Invite Jesus into our hearts.” Well, I sincerely invited Jesus into my heart each Sunday and yet I was not saved. My theology was totally based on the words of the song. I would pray something like, “Lord, please come into my heart. If you came into my heart before and left, please come into my heart again. If you never came into my heart before, please come in for the first time. If you came in and left, please come back and stay.” The song taught that Christ could come and go at will. I was confused and frustrated. I invited Jesus into my heart at least 600 times, yet I was not saved because that message is not the Gospel. I hardly missed a Sunday at church from the time I was six years old until I was eighteen years of age. To be fair, let’s say that from the time I was six years old until I was eighteen on at least 50 Sundays a year. Not until after I had turned eighteen years of age did I understand that I had to believe the Gospel message of the (death for our sin, the burial and resurrection of Christ), in order to be saved. If a non-believer has not heard the gospel, but flipping through TV, has heard these catch phrases on all of the heretical networks, and ‘asks Jesus to come into his life’, what does that mean for him? Nowhere in God’s Word are we told to invite Him into our lives, but we ARE told in His Word we receive a free gift from Him of eternal life, and the permanent indwelling of the Holy Spirit, when we believe. Here are some verses which explain what is all-inclusive in the free giftof eternal life which God give us when we believe (Rom 6:23). We are given the gift of righteousness, the free gift of justificationunto eternal life. We are made righteous (also see Romans 10:4). It happens after, it does not happen before we believe (many reformed/Calvinists aka ‘Doctrines of Grace’ teach that faith is the gift vs. eternal life) that one has to receive before they are able to believe (FALSE). (I remember this one as a little girl from Rev 3:20. We were told Jesus was standing at the door knocking on our hearts. Since this is spoken to the hardened church (ALREADY BELIEVERS) of Laodicea that saw no need for anything, we probably should steer clear of that verse spoken to believers and their fellowship with God and others. We should be SO careful that what we use with non-believers, is spoken to non-believers, vs. an already existing church — always doing our best to use clear language so that we do not confuse them. In using these verses, we may possibly teach them how to take one verse out of context later in their studies. Do we see Rev 3:20 as the same as the gospel declared in 1 Corinthians 15:3-4? Confession or agreement with God of our sins FOR fellowship of a current believer is seen in 1 John 1, but for salvation, we do not see confession of sin as a requirement for becoming saved. Confessing one’s sin (and turning from it), is #75 out of 613 commandments of the law. So we already know, we cannot add a work of the law to the gospel. Maimonides has made a list of the 613 with chapters and verses. We may very well be sorry for our sins (and will be at some point), or conversely, when some believe, they may be overjoyed. We cannot place experience, (whether ours or another person’s) be what makes a certain response necessary. We have no Biblical record of a mandate to ‘be sorry’ in the gospel itself. Again, we all have different emotional responses, but the only condition is believe upon the Lord Jesus Christ and you shall be saved (Acts 16:31). Some (who use passages out of context), cite 2 Cor 7:8-11, using godly sorrow as a necessity of being saved. Now skip back to verse one, who is being spoken to? These are the believers at the church of Corinth that were being reprimanded. This is an example of times we need to ask, what kind of salvation (or deliverance) is addressed? As believers, what were they being saved from? Salvation/deliverance is more often spoken of in the Bible as physically being saved from something such as a consequence. 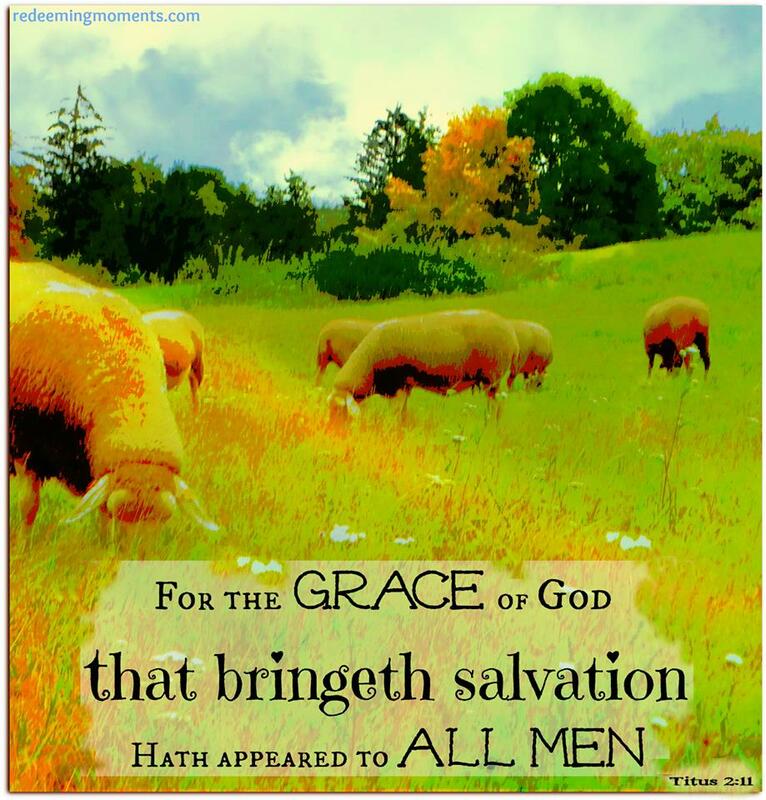 (70% or more of the time) salvation is used as deliverance, safety, rescue, preservation, victory etc. over 600 times in the Bible in its various forms. Salvation is FROM something TO something. The question we should ask is what someone is being saved FROM? We ask, who is being addressed? We need to be sure of context. We should never attribute how someone SHOULD feel when they believe , we should base our faith instead on what His Word states. 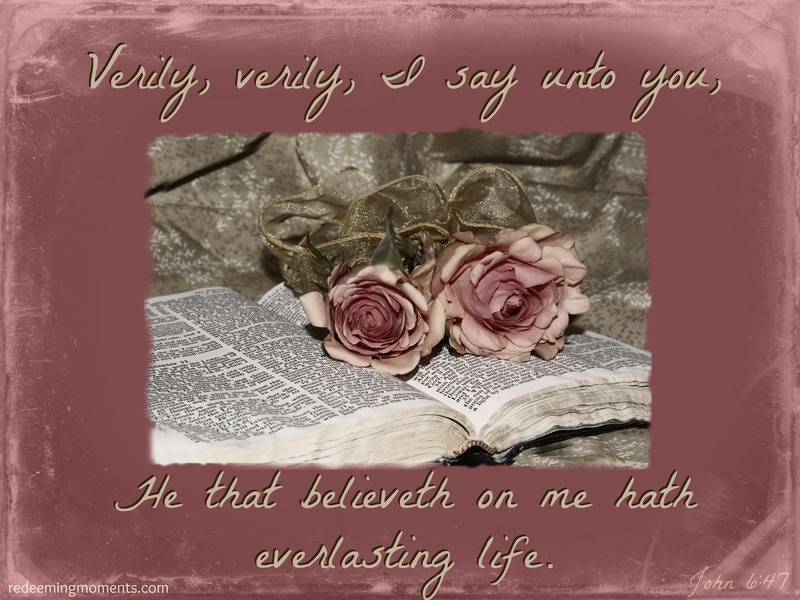 It is written, that IF we have believed God’s testimony of His Son, we HAVE eternal life. So much safer to look to the examples of preaching the gospel in the Bible. Many misunderstand ‘confess with your mouth’ in Rom 10:9 to mean it is necessary to publicly confess in order to receive eternal life. They cite Rom 10:10 (confession to salvation). Also sometimes they will reference Matt 10:32 & Luke 12:28 (confessing before men). Remember, there were many believing rulers that did not confess Christ before men because they were afraid of being put out of the synagogues, and they loved the praise of men before God’s praise. So we have to be sure, is it belief or confession or both? Or does that confession save us from consequences in this lifetime and the loss of rewards in the next? Should believers confess Him? Of course! We don’t know if these secret believers later changed their minds, but there would be consequences if they did not, both for them and others that they did not demonstrate their faith before. For a time the disciples abandoned Jesus, denied Him, hid in fear, and even had a lack of faith. Yet their were already called CLEAN (sanctified believers) in John 13 & 15. The early believers scattered after Stephen’s stoning, and because of this, the gospel was spread. Titus 3:8 tells us we should CONSTANTLY affirm that (believers) SHOULD be careful to maintain good works which are beneficial to all people. There is a reason why we SHOULD do that. The overwhelming majority of the passages in the Word that speak to eternal life, speak of ‘believing on the Lord Jesus Christ’ ALONE as a requirement for salvation. The Word does not contradict itself so should we not emphasize His Word vs. men’s words? The book of John uses the condition believe ALONE, apart from public confession, or the word repent (never used in the book at all), although obviously if one has believed upon Him they have changed what they used to think. One FB friend once told me that John is not the whole counsel of God. I disagree. If we look to John 20:31, we see the purpose statement of why the Gospel of John was written. Some say that John is not for the church, but for the Jews, and a different gospel because they say the crucifixion was not preached. I disagree with these mid and latter Acts dispensationalists. John was written around 90-95 AD, and John told us the reason the book was written — so it was a purely evangelistic book to all — both Jew and Gentile. This is a WORK. It SHOULD be something believers should strive to do as their reasonable service (Rom 12:1) – – no one can ‘stop sinning’, if they say they can, they are a liar, 1 Jn 1:10). I have seen people like Ray Comfort literally tell people in his sermons to ‘stop sinning’ or ‘turn from all sins’ in order to receive eternal life. I have news for him and all people. You cannot do it — you will fail, otherwise you are deceiving yourself. Turning from or stopping sinning is not in the Bible once as a condition for nonbelievers to do in order to be saved. (Some versions such as NLT will add the words ‘from sin’ to the singular word repent – change mind/thinking.) Nonbelievers are ungodly (Rom 5), they are incapable of doing a righteous thing such as turning away from sin. But Titus 3:4-7 tells us it is not by works of righteousness that we are saved. It is what and Who we are repenting about (changing our mind) that matters. We must understand that we are sinners, and the penalty for any, just one sin is death. That there is nothing we do can to help save ourselves — only what He has done, and because of who He is, the we can be saved. What were the works God saw that they did? Again, it cannot be part of the requirement of BELIEVING in order to be saved eternally. Why? And what does that mean anyways? What in our lives do non believing sinners have to offer or commit to Him? JESUS gave His life for us, and AFTER we have believed, we SHOULD commit our bodies to Him as a living sacrifice, which is ‘our reasonable service’ (Rom 12:1), but for being saved from eternal death (eternal life)? No. It is ambiguous language at best. Believers should try to become disciples after we have believed (John 8:30-31). It is part of our fellowship or walk with Him. Some go further (such as John MacArthur) — He says: “commit your emotion, your will & intellect, your whole life or surrender and abandon all, etc.” We need to keep discipleship of a believer separate from the gospel. Once we are saved eternally, believers should be doing this, but it is an ongoing process to submit. This again is not the gospel we see in His Word. We don’t make Him the Lord of our Life. He IS Lord of all. Lord (kyrios – kurios) means God, the Messiah. He is THE LIFE. He has offered up His life, and gives us eternal life FREELY. We do ABSOLUTELY believe upon Him as our Lord (as the others who lie and say we are anti-Lordship). No, we are anti- load-ship doctrine. These Pharisees shut up the kingdom of Heaven to others. And the Spirit and the bride say, Come. And let him that heareth say, Come. And let him that is athirst come. And whosoever will, let him take the water of life freely. Revelation 22:17. As believers we should want to spend more time with Him in His Word, BUT we need to obey to do this. Trust in Him, acknowledge Him in more of our ways, abide in Him, abide in His Word — these things will help us grow in grace and sanctify us (Lk 10:38-42; Acts 20:32; John 17:17; Eph 5:26 among others). All the above are good for believers to do. An unbeliever does not have strength. He is ungodly — a sinner, unable to even know what God wants them to do (Rom 5:6-8). Once we have come to know God’s grace, we can then learn what God wants us to do through being commended to the Word of His Grace (Acts 20:32). What does God’s grace teach us? (Titus 2:11-14) So dear friends, learn by spending time with Him, hearing His Word, speaking to Him in prayer. The more we know of His grace, the more we grow. It is by truth that we are sanctified practically or progressively speaking — (Jn 17:17; Eph 5:26), God’s Word is truth, we are cleansed by it when we study it with His Approval as our goal (2 Tim 2:15), He will teach us as we apply our hearts to knowledge (Ps 119:9-11; 2 Tim 2:15; 1 John 2:27; Prov 22:17-21). Don’t let the voice of the accuser of the brethren sneak in. One thing I learned from I ‘believe’ Dennis Rokser from Duluth Bible church was how to look at John 3:16. It’s a nice chart to lay out with people. Some teachers falsely say that God does not love everyone, nor did He die for the whole world, but ONLY those He has elected to salvation (Calvinism/limited atonement). I deny this unbiblical theory and this system of belief has limited the audience of the gospel and I believe quenches the drive to share. I notice they often share TULIP, but frequently if you ask them, they just don’t know the simple gospel. 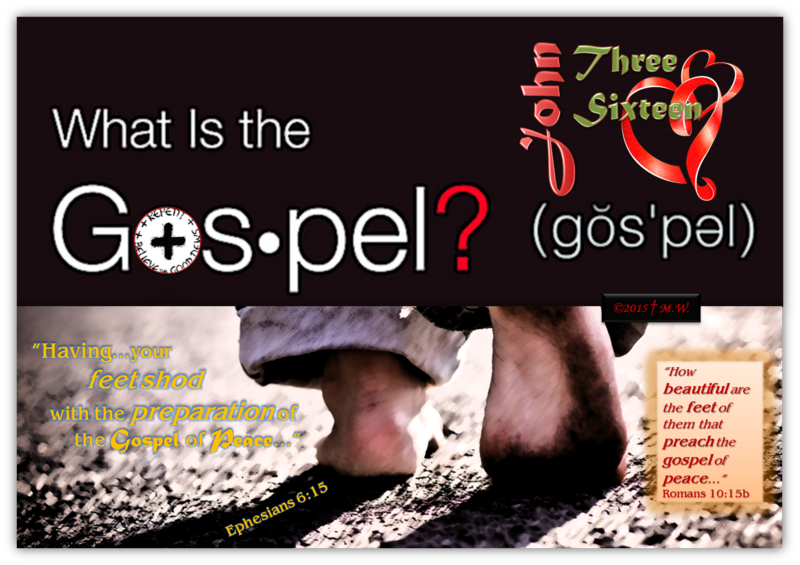 To effectively give the gospel, I believe that as part of our armor, we should shod our feet DAILY with the preparation of the Gospel of Peace (as we are told in Eph 6:15). We should be ready with an answer for the reason of the hope that is within us (1 Pet 3:14-16). If we should be prepared daily, I believe we should share it and hear it daily. Paul was declaring the gospel to believers in 1 Cor 15. Why if they were saved eternally? They’d already been led astray. He was reassuring them concerning the resurrection. False teachers had already come into make them doubt which also made their own gospel ineffective. Instead, be prepared! In conclusion, we should make sure we have the facts of the gospel straight — That we understand the correct definition of repentance. We need to have down pat what people need to know regarding gospel facts so we can present the good news effectively. Certain things should be emphasized in the Gospel after we have presented it. The unsaved person is listening to every word we say (hopefully), so we need to try our best, to pray while we are speaking to them, and be sure we are presenting His truth, not ours. It is a matter of life and death. It matters. The fact is — the Gospel is GOOD NEWS FROM God TO man. In fact it is the GREATEST piece of news anyone will ever hear. The Gospel is not a call for man to reform one’s behavior FOR God BEFORE they believe, but to come to be saved. Trust in Christ and Him alone regarding His FINISHED WORK. It is mentioned over 1000 times in the epistles — it’s spoken that many times — so then, Christ and Him crucified (His finished work) SHOULD be emphasized. His finished work includes being forgiven for ALL of our sins, that we are DELIVERED from the penalty of our sin (death) and we now Possess eternal life, which is FOREVER. NOT BY ANY WORKS of our own, eternal life is a FREE GIFT and should be MADE VERY CLEAR that it is without cost to us. Costly for Christ, FREE for us (Isaiah 55:1-2; Rom 6:23; Rom 5:15-19; Rev 21:6; 22:17). My friend John from expreacherman.com wrote a list out that I think is helpful to consider laying out to the unsaved. I’ve added some Bible verses to it. All we can do to receive everlasting life is to believe in Jesus Christ as our Savior (John 3:16-18, 36; John 5:24; John 6:47). Eternal life, once received by faith in Christ, can never be lost or forfeited, no matter what happens in our lives down the road (Rom 10:28-29; John 3:16; John 6:38-40). 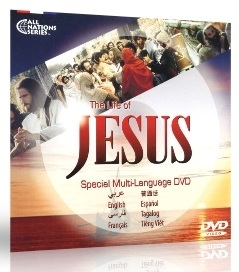 Someone wanted me to watch the Jesus film on DVD, she’s asked me many times, so I watched (while doing other things), and almost missed what was said in the end as the movie was over. So odd to have this be the subject of today’s Bible study. In case it’s unclear my stand, I completely disagree with this DVD unfortunately. “He sent Jesus the Messiah to die in our place. His life, death and resurrection, restored the relation between God and man, for all those who put their trust in Him. Now all who follow Jesus not only have their sins forgiven but are saved from God’s eternal judgment, they are assured of paradise and will live with Him forever”. (not all who are followers believed – see John 6)..
“This means turning to God and trusting Jesus to come into our lives, to forgive our sins and to make us what he wants us to be. It is not enough to >>intellectually agree with His claims, nor to have an emotional experience, we receive Him by grace through faith, as an act of the will. When people are ready to become >>followers of Jesus the Messiah, they may speak to Him in a simple prayer”. (Again, there is a difference between a follower and a believer). “Perhaps you are ready now to ‘open your life’ to God. If so, you may join in the following prayer to Him, silently, in your heart, Lord Jesus, I need you, thank you for dying on the cross for my sins. I >>confess and >>repent of my sins. (FALSE) I >>>open the door of my life and receive you as my Savior and Lord. Thank you for forgiving my sins and giving me eternal life. As I become one of your followers. (In case I have not made it clear, I completely disagree with the presentation above in italics), although there is some truth, there is certainly enough to taint it. Here are a couple links to a clear gospel. Again Holly, you are spot on! Thank you for demonstrating through scripture the one and true Gospel – The Good News! I appreciate that Brady, I refined it some from last time. I know there is some redundancy but I feel and hope and pray people will hear from His Word and look at the examples there and see if what we’re taught by these TV preachers, Street Evangelists, Authors, popular pastors etc. is really what we see being preached and declared as the gospel in His Word.